Franklin, Düre and Lo Shu are three of the most well-known examples of math magic squares. 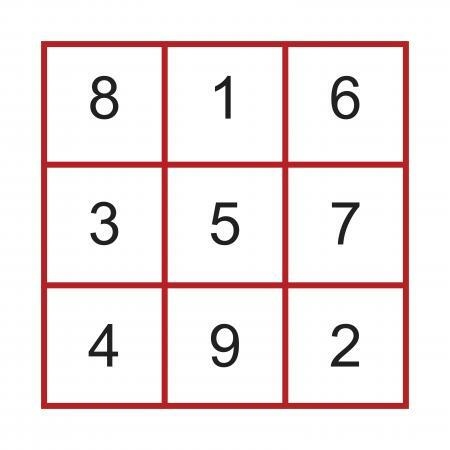 The oldest of the magic squares, the Lo Shu, is believed to be more than 5,000 years old. When numbers, used only once, are arranged in the cells of a square matrix consisting of a specific number of columns and rows and the sum of the numbers is the same for each of the columns, rows and both diagonals, it is a magic square. The number that is the sum of all the columns, rows and diagonals is called the magic constant. The following three types of magic squares are among the most well-known. During 1736-37, the two years that Benjamin Franklin was a clerk at the Pennsylvania Assembly, he developed an interest in magic squares. It was during this time that he created magic squares in an 8x8 matrix using the straight and "bent row" property. Since he started his number order with 1, the number 260 was the magic constant. 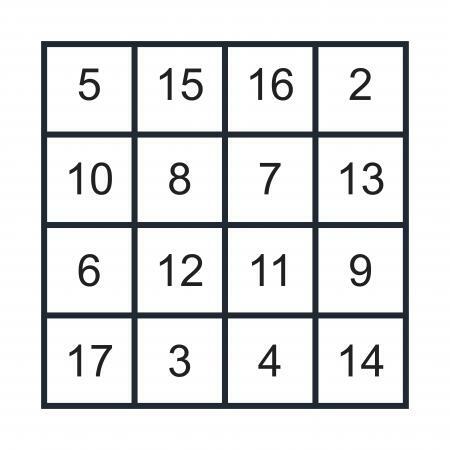 Franklin also created 16x16 magic squares that had unique properties. 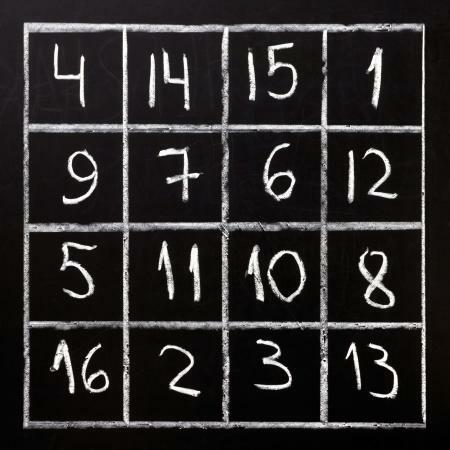 The well-known 4x4 magic square known as the Durer magic square was made famous because of its placement. Albrecht Durer was an engraver who created an engraving in 1514 called the Melancholita. Within the engraving, Durer included a magic square. 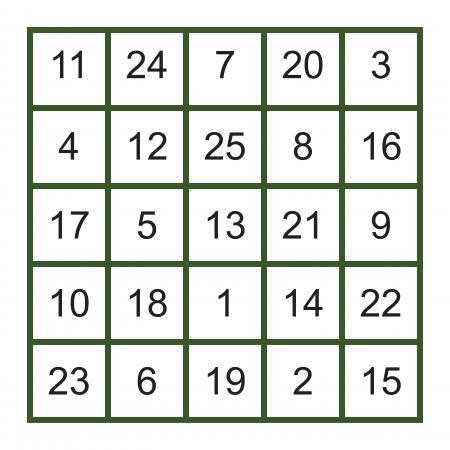 Durer's magic square does not have all of the same properties as normal magic squares since the artist placed the numerals 15 and 14 next to each other to show the year he made the engraving. However, it has many special properties that earn the square the title of magic square. Although the exact origin of the oldest type of magic square, the Lo Shu, remains unknown, according to ancient Chinese legend, it is more than 5,000 years old. The ancient Chinese Emperor Fu Xi used the patterns he noticed on a turtle's back to calculate what he had to do to quell the angry flooding river. The turtle was the Divine Turtle and the patterns on its back were in a 3x3 magic square. In the practice of feng shui, the Lo Shu magic square is often called a bagua. It is the bagua chart that feng shui practitioners use to determine which areas of your home have positive or negative energy. With the information gained from using the bagua, you can make the necessary changes to create free-flowing energy (chi) in all the areas of your home. It should be noted that practitioners of the Black Hat Sect of feng shui use the Lo Shu differently than practitioners of the Traditional schools of feng shui. The Franklin, Durer and Lo Shu squares are three of the more well-known examples of magic squares that exist is the world of mathematics. Throughout history, mathematical magic squares have intrigued and fascinated people all over the world.